End Meetings About Meetings Once and For All! Avoid the vicious cycle of having meetings about meetings and start making business decisions. This template is tried and true to organize your meeting agendas, relay important information, and prepare your team to come to the table to assist in the decision-making process. 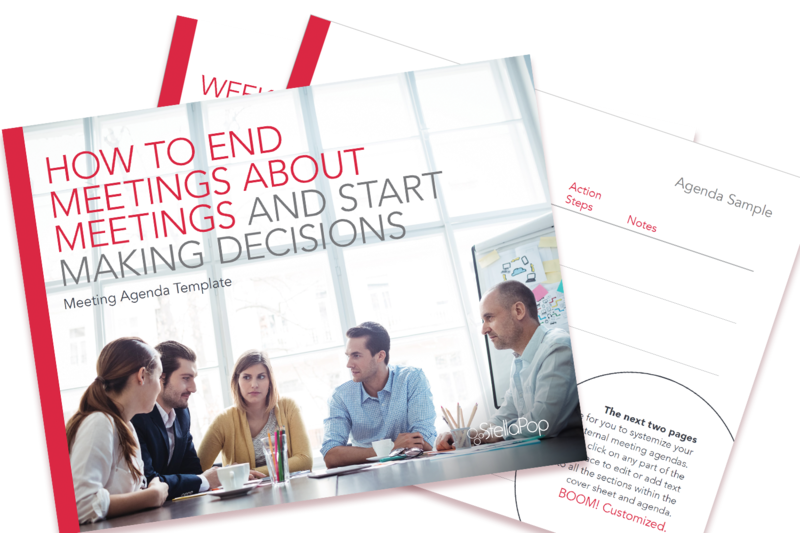 The meeting template includes a sample cover sheet and agenda as well as two pages for you to use over and over again to create your own meeting agendas. Be systemized. Be customized. Be organized.